Do You Have Pain on the Outside of the Foot? Do You Have Pain on the Outside of the Foot? It Could Be Due to Peroneal Tendon Injury. 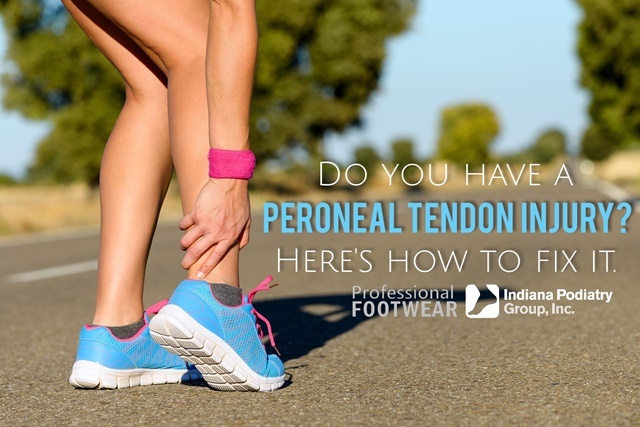 Many people have pain on the outside of the foot, and while a number of conditions can cause this, the most common reason for the pain is injury to one of the peroneal tendons. This set of two tendons begins as the extension of two muscles positioned on the outer side of the leg. The tendons, which help the muscles move the foot, run together behind and under the outer side of the ankle. They then split, with the shorter one (peroneus brevis) attaching to the outside of the foot and the longer one (peroneus longus) diving under the foot to attach on the bottom of the inner side of the foot. They function together in an effort to pull the foot upward and outward, and help to stabilize the foot from rolling inward. As these motions are an important part of movement of the body in walking or running, injury to these tendons can be a source of great pain and functional loss. They can become damaged through either physical injury or chronic stress. When the foot is forced to roll inward, the tendons can be injured, through either stretching or tearing. This action typically produces an ankle sprain, but the peroneal tendons can also be injured at the same time. Injury can also occur if the tendons are hit with something striking along the side of the ankle or foot, or if the foot is suddenly forced inward while the tendons are actively pulling the foot outward. Chronic stress not related to a specific injury can also damage the tendons, and these are often seen when one has been active on uneven surfaces, such as gravel or rocky terrain, or a uneven field. The constant slight rolling in of the foot during activity on these surfaces can eventually lead to tendon strain, partial tearing, and overall inflammation. Prevention of peroneal tendon injuries requires one to wear stiff, supportive shoes, and being careful on uneven surfaces. Those who have a tendency to roll their ankles inward due to flexible or loose ankles need to use ankle braces during athletic activity, or when active on uneven ground. Once the tendon is injured, treatment can vary among and may include bracing, anti-inflammatory medication, rest, and possibly physical therapy. Injuries that do not heal, or those that are more serious, require surgery to repair the tendon tissue. Peroneal tendon pain can last for years if left untreated. If you have pain along the outer side of your foot, give our office a call for timely treatment, and a prompt return to pain-free walking and activity.